Play Unplugged TV has another unboxing for us. 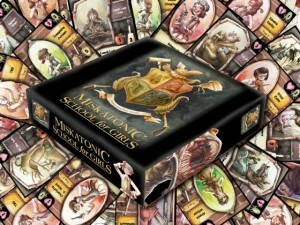 This time it's Miskatonic School For Girls. Question: How many school’s have Ia! Ia! Cthulhu Fhtagn! as a part of the alma mater? Answer: Not many, but as of their successful Kickstarter campaign, Fun to 11 brings us at least one. In this episode of Play Unplugged TV, Play Unplugged‘s Enrico Nardini unboxes Miskatonic School for Girls. This new deckbuilding game features a light-hearted and humorous take on the H.P. Lovecraft Mythos and a mechanic to build other players’ decks as well as your own.